At Ernest Bevin College we recognise the importance of working with parents and carers to ensure the very best for all pupils in the college. For parents new to secondary school, we hold a coffee morning once a term, where senior members of staff can answer parents’ questions and explain reports, online homework etc. 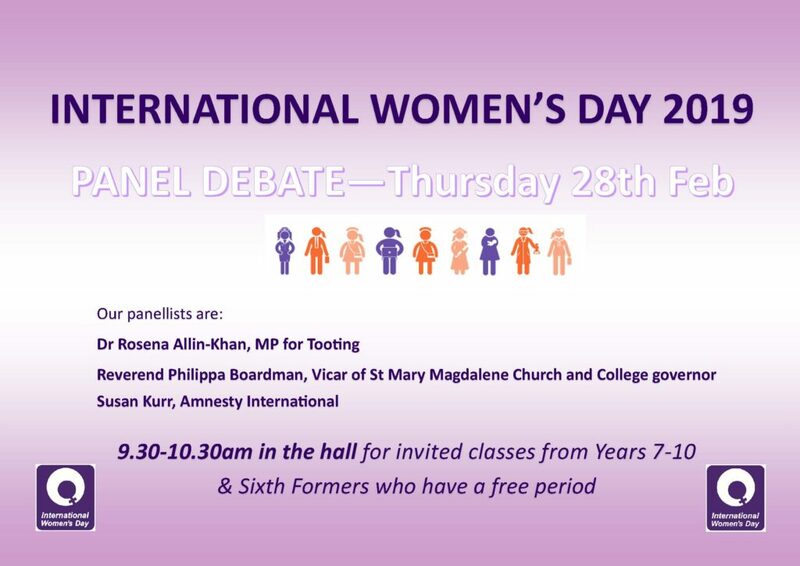 To mark International Women’s Day the college has organised a number of events to celebrate and get the young men (and women) in the Sixth Form thinking about the importance of women in society. On Thursday 28th February a speaker from Amnesty International gave a Year 10 assembly about human rights and inequalities around the world. 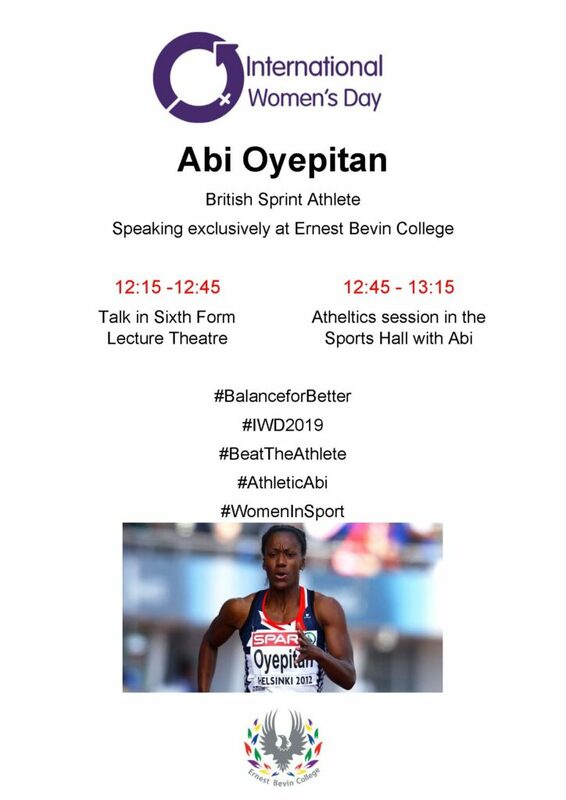 There was a panel debate for students across the college and on Friday 8th March the sprinter Adi Oyepitan will present to and run a workshop for the athletics squad. We would also like to invite parents to join staff for an International Women’s Day light breakfast on Friday 8th March from 8.15-8.45am by the college dining hall. Friday 8th March – International Women’s Day breakfast 8.15-8.45am outside the college hall. Join us for a coffee, croissant and chat. We will be discussing the new target setting that has been introduced at EBC this term and Safer Internet Day. The following resources for parents and carers will be shared. All Parents/Carers are welcome but meetings are geared to those parents with boys new to the school, in particular those in Year 7 and 8. A member of staff will usually give a short presentation and we allow time for questions and discussion. These mornings are to help parents’ understand how the college works. Generally we are not able to discuss your son on an individual basis and if you have concerns you should contact your son’s tutor or Head of Year for a private meeting. Please come to reception and sign in from 9am. We asked parents for feedback on the new style reports that were being introduced due to the changes in the National Curriculum and and removal of levels for assessment. We welcomed a number of parents from the new Purple Tie cohort and Mr Khadir, Head of Purple Tie achievement, answered their questions.